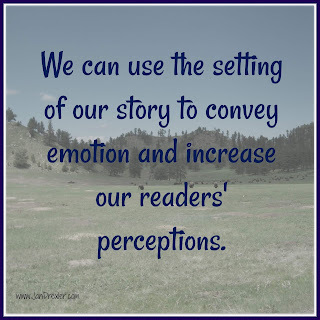 In my June post, I talked about giving your readers a complete story experience by immersing them in your fictional world. We discussed how to make that world come alive for you, the writer. You can read that post here. 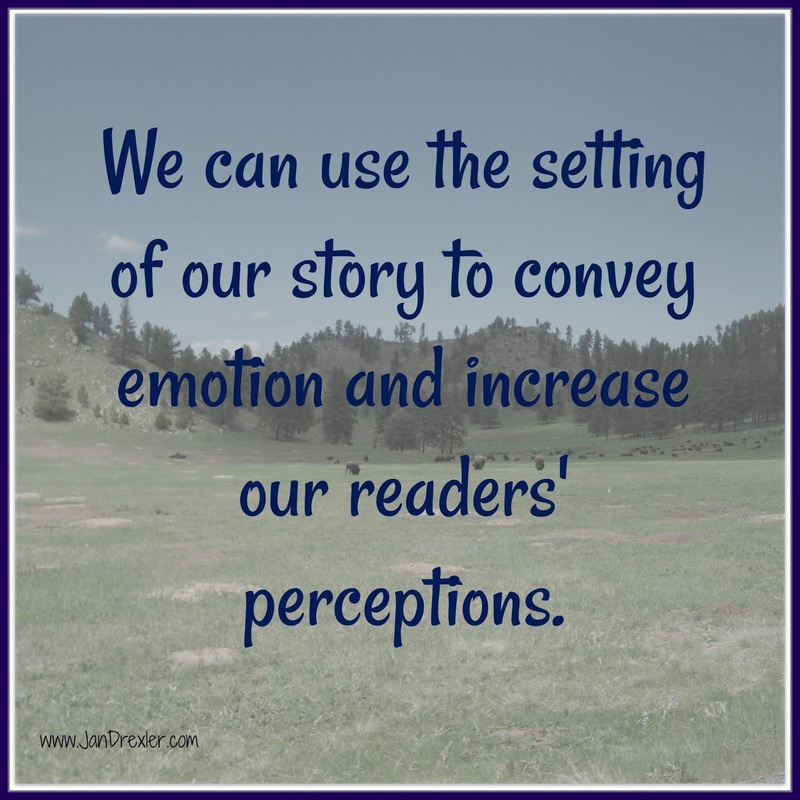 Today we’re going to take your story world a step further: how to convey what you see in your mind onto the page and into your reader’s imagination. Because, really, isn’t that the where the magic of story-telling happens? We use the setting of each scene to convey emotion and increase our reader’s perception of our themes. Every word reveals details about the scene that provides an undercurrent to strengthen the action and dialogue. Many writers talk about using your setting as another character in the scene, but I think it goes further than that. Yes, your characters interact with the setting, but the setting also creates a framework that helps to communicate your theme and subtexts more effectively than any other aspect of your story. To help illustrate what I’m talking about, I’m going to use some scenes from one of my early books, A Home for His Family, published by Love Inspired in September 2015. 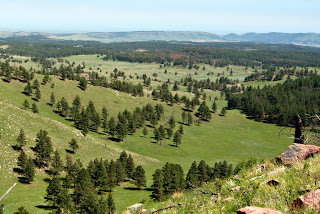 The opening scene of the book takes place in a gulch outside of Deadwood, Dakota Territory, in 1877. Yup, that’s right. Just like in a Hopalong Cassidy story. It’s May, there’s a snowstorm coming, and it’s one of only three roads into town. The spring influx of miners is arriving, and the place is a chaotic mess. The heroine, Sarah, and her Aunt Margaret have been traveling to Deadwood in a stagecoach and are anxious to get to the end of their journey. But there is a delay ahead of them on the trail and the stagecoach is stuck until traffic starts moving again. Sarah climbed out of the stagecoach, aching for a deep breath. With a cough, she changed her mind. The air reeked of dung and smoke in this narrow valley. She held her handkerchief to her nose and coughed again. Thick with fog, the canyon rang with the crack of whips from the bull train strung out on the half-frozen trail ahead. She pulled her shawl closer around her shoulders and shook one boot, but the mud clung like gumbo. In describing this scene, I wanted to show the unexpected hardships Sarah was facing in her new adventure, but also her determination to follow through with her plans. So I let her leave the stagecoach to get some fresh air, but then she comes nose-to-nose with reality. The weather creates an oppressive layer of fog that obscures her vision and concentrates the odors of hundreds of animals and men confined in a narrow space. There’s a subtext going on in this description, too. Sarah has come to Deadwood to bring the light of education to the children in the town and to the prostitutes who make up a significant number of the female population in 1877. A recurring theme in the story is that the prostitutes are trapped and confined in their lives with little hope for escape. The narrow gulch in this first scene is the reader’s – and Sarah’s – first hint of that unsavory reality. This cabin and a few others were perched on the rimrock above the mining camp, as if at the edge of a cesspool. Up here the sun was just lifting over the tops of the eastern mountains, while the mining camp below was still shrouded in pre-dawn darkness. The businesses crowded together between the hills rising behind them and the narrow mud hole that passed for a street. Nate slowed his pace as the storefronts turned from the saloons to a printing office. Next came a general store and a clothing store, with a tobacconist wedged in between. Across the street was Star and Bullock, a large hardware store that filled almost an entire block. And in the middle of it all, just where the street took a steep slope up to a higher level on the hill, men worked a mining claim. Nate shook his head. In all his travels through the West, he had never seen anything quite like Deadwood. Sarah took the bucket to the door and tossed the dirty water into the gutter. As she did every day, she looked past the crowded streets and crooked roofs of the neighboring buildings to the towering hills beyond. She let the bucket dangle and leaned against the door frame as she gazed at the white rocks at the top of Boot Hill. What would it be like to climb that mountain someday? Another aspect of any story is contrast. In this story it is between chaos and order; sin and forgiveness; the wandering life and home. 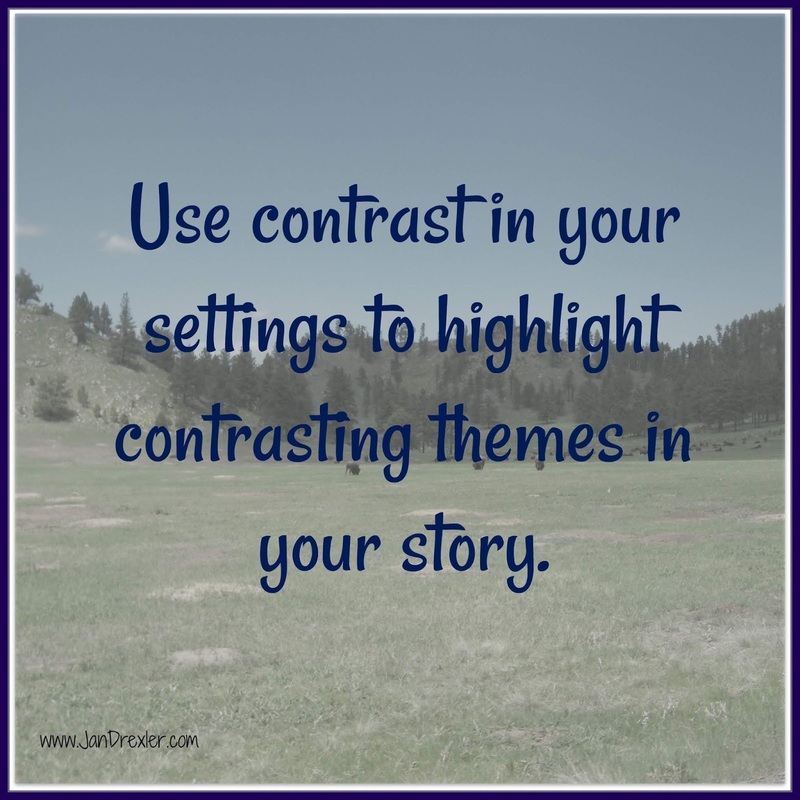 How can you convey the contrasts in your story? Choose your words carefully. Yesterday's rain had made a miry mess of the streets. Horses walked in mud nearly up to their knees, while the drivers of the wagons shouted curses to keep their teams from stopping before they got to firmer ground. Sarah crossed Lee Street on the wooden crosswalk and paused on the corner, looking up and down Main. Aunt Margaret had been right. The saloon girls crowded the board walks in front of the stores, their bright silk dresses and fancy plumed hats lining the street like a show of exotic tropical flowers. Not one “respectable” woman was in sight. Finally, she caught sight of Maude’s red dress and purple shawl in a cluster of girls outside a peanut vendor next to The Big Horn Grocery on Upper Main. She hurried across the street on the wooden walk, soaking her kid shoes in the slime as the boards sank into the mud beneath the weight of the crowd doing the same. Thankfully, she climbed the stairs between Lower and Upper Main, out of the mud for a change. He drove the team along a natural shelf on the side of the slope and then turned up. As they crested the rise, the sight that greeted him still took his breath away. Green meadows stretched away in a wide swath at least a half mile across and twice that long, curving around the wooded slopes that crowded close to the open space. An eagle drifted above them against the clear blue sky. Nate chirruped to the horses, driving them slowly through the knee-deep grass, heading for the grove of trees at the far edge. In his mind the mountain valley was dotted with horses—brown, black, white, gray—all grazing on the rich green grass that grew in a thick carpet everywhere he looked. Across the meadow, a meandering line of cottonwood trees followed a fold in the grass. That stream cutting through the land was the crowning touch. 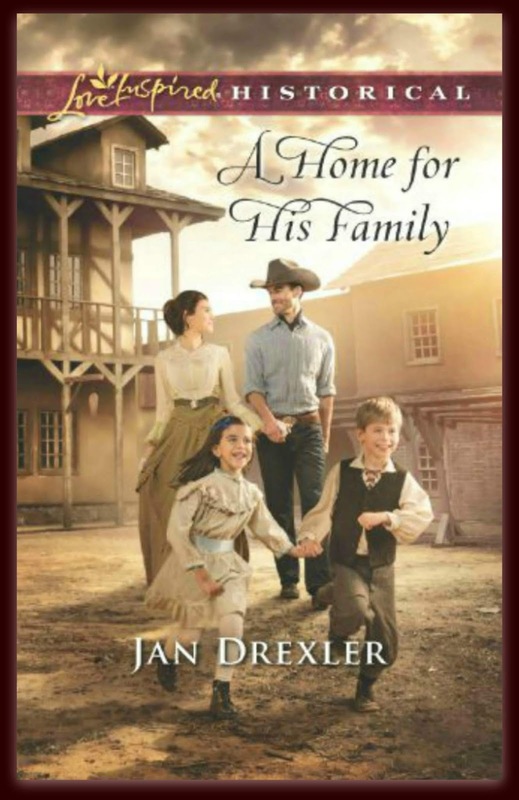 He glanced at Sarah, still standing in the wagon bed, holding on to the seat between him and James. Her face was bright in the clear sunshine, the wind pulling loose hair from her bun. Her gaze went up to the tops of the hills surrounding them. When she looked at him she smiled, and his heart swelled. Everywhere he looked he saw his future, waiting for him to reach out and grasp it. It was as if the past twelve years had never happened and he was just starting out, full of promise. What is the biggest difference between these two scenes? 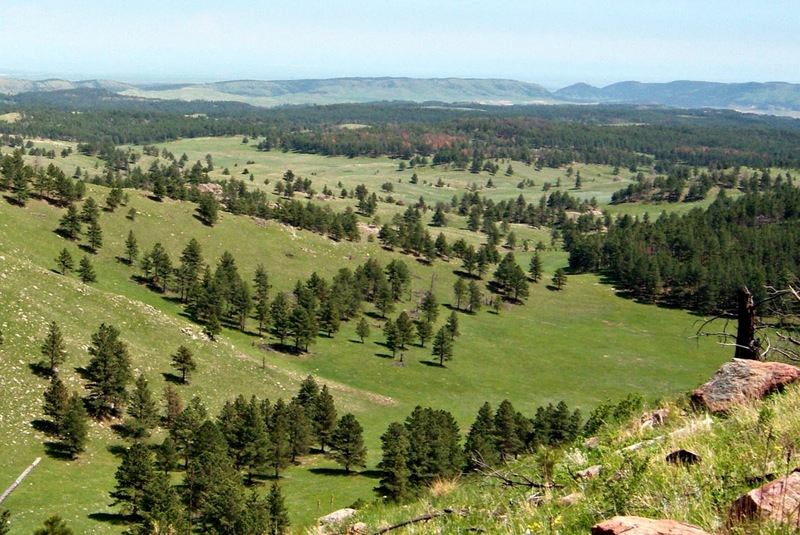 It isn’t only the contrast between the crowded streets of Deadwood and the open spaciousness of Nate’s land. In the description of the town, I used a lot of words with hard consonants: curses, crosswalk, corner, crowded, walk, silk, exotic, respectable, kid…along with some “dirty” words for good measure: mud, mess, soaking, slime, sank. But in the description of Nate’s land? The opposite. I used soft consonants and “clean” words: green meadows, meandering, wide swath, curving around, wooded slopes, drifted, clear blue sky, swelled, full of promise. Words are important – not only their meanings, but their sounds. The soft consonants convey the underlying theme present in all my books: home. Do my readers notice these details? Not consciously. But they play a role in the total reading experience. Now I’d love to hear your ideas. 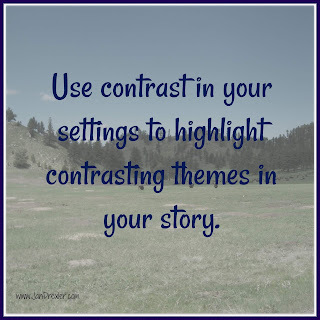 How do you use your settings to add depth to your stories? 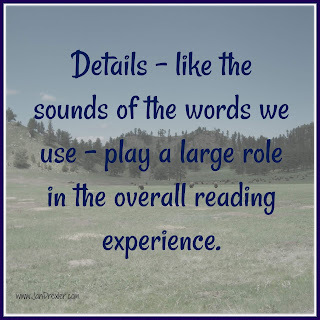 Or for readers, how do carefully written settings add to your reading experience? "A Home for His Family" is now out of print, but the e-book is still available! One commenter will win a Kindle copy of their very own! 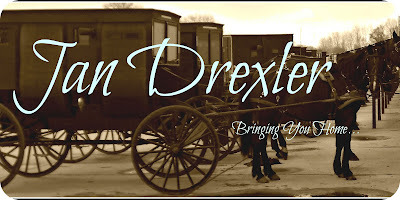 Jan Drexler lives in the Black Hills of South Dakota with her husband of (almost) thirty-six years and expanding family. 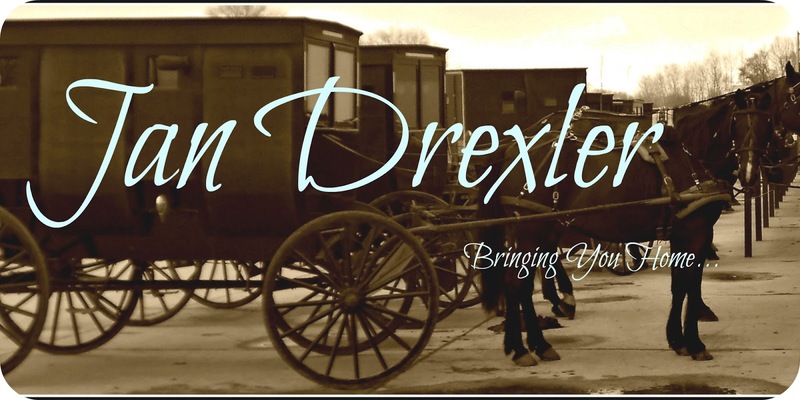 While she writes Historical Romance with Amish characters, the romance of cowboys surrounds her, tugging more story ideas from her imagination than she can hope to write in one lifetime. Hi Jan! I LOVE this. I know I’ve said it to you before, but your scenes are always so vivid and colorful and clear in my mind as I read. Thanks for sharing a little of the secret magic you use to make that happen. The linguist in me is fascinated by the difference that consonant choices make in the overall impression of a scene. Words are so powerful! The best part about writing this way is that I didn't start out doing it on purpose. My best writing teachers have been other authors whose works I have devoured - writers like Tolkien. Whenever I read a descriptive passage that takes me deep into the author's story world, I hold on to it...read it again...and try to figure out just what that author did to affect me that way. This has got to be one of the best explanations with examples of how those contrasts develop to create a whole setting, Jan. Absolutely marvelous... and you pointed out the the importance of word choice to set the scene... now I'll have to remind myself how important that is, because those scenes in the town itself are knee-deep wretched.... and who'd have pictured it that way? Not me! What strong and gripping imagery! I'm so glad you liked the post! It's a concept I've been wrestling with for a long time, and I think I'm finally figuring it out. Long ago, I studied poetry and dabbled in writing it. That made me aware of word choices, and how one or two perfect words can open doors for the reader that several paragraphs of prose might not. Jan, good post and good points. Setting is so much more than a couple of trees or a few pieces of furniture. And it's so much more than "the dark day reflected her mood." I love your use of onomatopoeia. Going to try to use more of that in my WIP. A good tutorial and good stuff for our toolboxes. You're so right, Kathy! Setting shouldn't be only a layer in our writing, it's warp and woof. Have fun applying this to your WIP! For me, it's part of what makes writing a joy. Great post, Jan. I loved how you use the sound of words to convey your meaning. I will have to keep that in mind with my writing. Please put me in the drawing for the e-book. You're in the drawing, Sandy! I've always enjoyed the sounds of words and how they convey meaning. Think of the word "truck." The sound of the word conjures up exactly what a truck is! Jan, this is fantastic! I feel like I'm getting an advanced course in writing! I love your suggestion to vary the word choices and the sounds to give a feel to the reader. I love this subtlety! Jan, this is a wonderful post. You touched on those nuances that elevate a story and truly make it come to life. This post is a keeper, all right. Thank you. Thank you, Mindy! It's amazing how a small detail can make such a difference in our stories, isn't it? Such a great blog post, Jan! I'll be printing this out and referring back to it often. I like your emphasis on the sound of a word choice. Your samples are clear and easy to visualize.Thank you for this amazing teaching post, Jan.
You're welcome, Pat. I'm glad it was useful for you!
" Do my readers notice these details? Not consciously. But they play a role in the total reading experience." Well, I notice these details. I actually go to school on your writing and that means it takes me three times longer to read your books. I'm reading "Hannah's Choice" right now and I'm amazed at how I can feel, on almost on every page, that I am in the 1840's. In so many historical romances the only way I can get a feel for the times is to learn what kind of guns the men own! I think there is an emotional "spirit of the times", call it zeitgeist, which can also be an essential 'setting' in a story. "Hannah's Choice" has it with worries over violence and unrest brewing because of a possible civil war. This affects the Amish move to Ohio. There is also a heavy influence of the emotional impact that the very high infant mortality rate effected those times. Even the way lovers left color scarf 'messages' as code for 'meet me' in a time without phones or email. Now, after reading about your, "A Home for His Family, " I just have to read it ASAP. (I've already downloaded it). I can't believe you had the plight of prostitutes as a theme in a sweet LI romance. I've got to read how you did this. Reading your books is more than an enjoyable experience, it's an education. P.S. I've read that it was said of those times (before 1900) that one should not get too close to one's children before they were five years old because half will have died by then. I wonder how this feeling was expressed in those days. Had Hannah's mother heard this? Your post script brings up an interesting thought, and one my circle of friends discussed not long ago as we were studying Psalm 127. At the time of the Psalmist, children were definitely precious. My feeling is that the reason for that is because the infant mortality rate was so high, not only in Old Testament times, but up until the mid-20th century. Thank you for your thoughts, and thank you for reading my books! I think the same way as you do about people in the past having the same feelings we have today about the lost of a young child. And yet in the study of history the professionals are constantly warned not to measure the past by today's yardsticks. Hobbes wrote, centuries before, that life could be "solitary, poor, nasty, brutish, and short". Also consider that we are dealing with a nation of farmers and others who raised the animals they would later have to butcher. That's southern cookin' and that's mighty nice"
How many people today would do this? So while the farmer would not want to get too close to his new calves, he could still prize them and truly provide loving care when they were sick. I think the people back then did develop a mental detachment which I feel we don't have today. This post was fantastic! I've never really thought about the difference in the hard and soft consonants - it makes all the difference in the world! I will be referring to it often. Please do enter me in the drawing - I would love to look for more of those nard and soft consonants. Thank you, Edwina! You're in the drawing! Lovely, Jan! Must read this story!!! You've shown so beautifully how you increase emotion with your delight excerpts. Well done! I'm applauding!!! You know, Kav, I don't think of the hard/soft consonants until after the scene is done. I edit as I write (I edit the previous day's writing before I start on the current day's word count), and I just keep going until it sounds right. During that process, I look for the sounds of words and nuances of word meaning to give the scene the feeling I want to convey. So I guess it's a little of both. And I don't have any books that are e-book only, so you probably have all of them! Wow. I don't think I had ever considered how words with hard consonants sound harder, but now that you've p ok intend it out, it makes perfect sense. Thanks for sharing your ideas. You're welcome, Amy. I've always felt that words are very important, and even more so since I started writing for publication. Wonderful post, Jan - - thank you. As others have also said, I hadn't really thought about hard and soft consonant sounds making a difference---wow! A keeper post, for sure! I'm so glad you enjoyed it, Patti Jo! Great post, Jan. Thank you for these tips and examples! Jan, you have offered a wealth of information. Thanks for sharing! Thanks, Connie. I hope it's useful! It’s funny - as a reader, I don’t actually truly appreciate well-crafted setting of books until I run across one that may not be as well-crafted or carefully planned. Then it makes me wonder why I’m not enjoying the book that much which leads me to contemplate on the last book I really enjoyed....and BAM! It hits me suddenly that the truly enjoyable book had a great setting that transported me to the place and era. You brought up a great point! It's kind of like cleaning the house - no one notices until you don't do it! That is a great point, Mindy! I'm not good with setting so I really need to up my game! Yesterday my precious father entered heaven. Hoping to get back to my normal routine of writing and reading soon. This week will be busy with funeral arrangements and family time. So very thankful for all the prayers during the last few months. It is a relief to know he didn't suffer at the end. I'm so sorry, Wilani. It's a bittersweet time, isn't it? We're so happy for our loved ones when the pain of this life is over, and we rejoice when we know they are with the Lord...but it's still so hard for those left behind. I will be praying for your peace and comfort this week and through the coming months. Wilani, you're in my thoughts and prayers. I lost my dad in March so know how tough it is. Wilani - I'm so sorry for your loss. Praying that you'll find comfort in knowing he's with his Lord. But I know that won't make you miss him less. Good morning, Jan. I love how you've used setting to convey / reflect other aspects of your story! Thank you for the examples, too, and for sharing word usage choices that touch a reader's emotional chords. Hi, Jan! You stated (paraphrase) that readers might not notice the setting details but the details still add to the reading experience. That is exactly what I was thinking as I read your post. 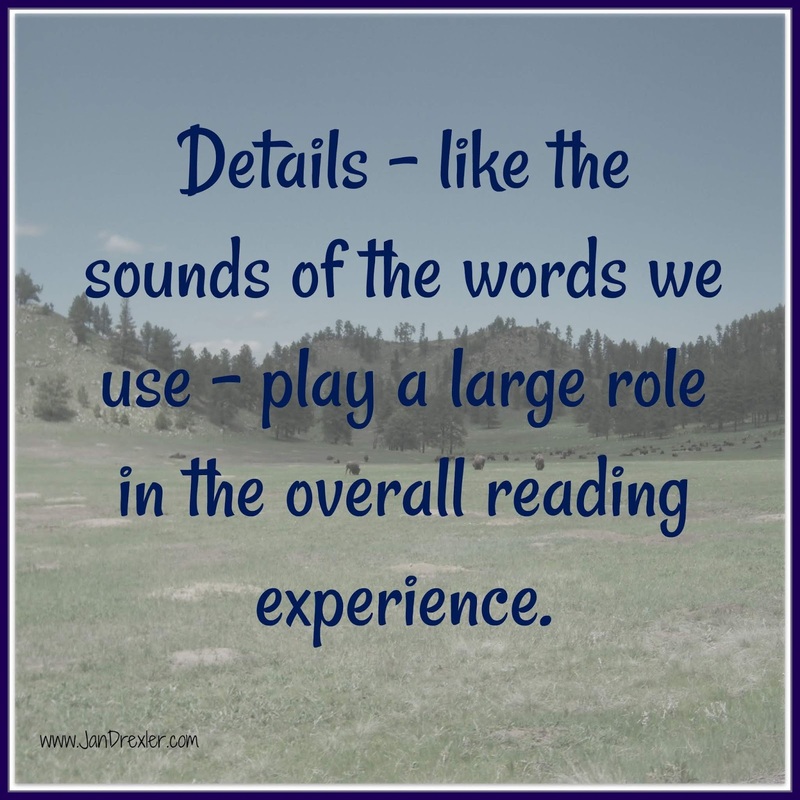 Because I want to use setting details more effectively, I notice them when I read but often wonder how many readers miss them. But you're right...the reader might miss the "mastery" of the skill, but they still get the "experience"--which is what the reader wants. Thanks for sharing! Yes, that "experience" is what the reader wants, and what we want FOR them! When someone tells me they liked one of my books, the why isn't important. I'm just happy they enjoy the reading experience!